Read the message of the Special Rapporteur on Trafficking in Persons especially women and children for today. It is in 6 languages click here Ms. Joy Ezeilo ends her term as Special Rapporteur on July 31st. She has written a report on the first decade of the mandate of special rapporteurs on Trafficking in Persons especially women and children. Click here Ms Sigma Huda (Bangladesh) (2004-2008) was the first mandate holder. 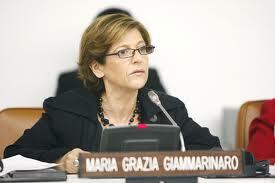 The newly appointed special rapporteur is Ms Maria Grazia Giammarinaro from Italy. Ms Giammarinaro has been OSCE (Organization for Security and Co-operation in Europe) Special Representative and Co-ordinator for Combating Trafficking in Human Beings in January 2010. Ms Giammarinaro received a Trafficking in Persons (TIP) Hero Award in 2012 from US Secretary of State Hillary Rodham Clinton to honour her significant contributions in the struggle to end modern-day slavery. She was one of ten notable individuals from around the world recognized by the State Department. 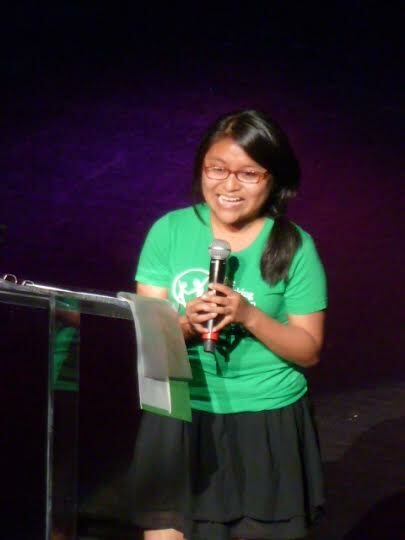 UN Women launched Beijing+20 at the Apollo Theater, NY on June 26th. Beijing+20 is a year long campaign to spark global dialogue and action on women’s rights and gender equality. 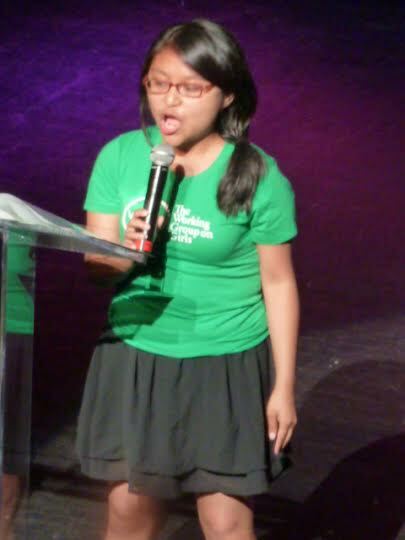 WGG girl advocate Diana was also among the celebrities speaking on the importance of girls rights in the Beijing Declaration and Platform for Action. 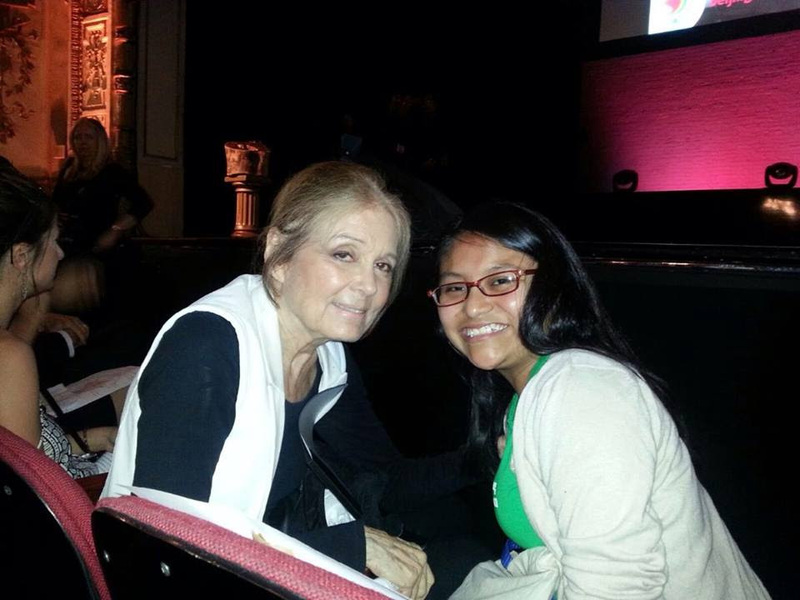 Diana poses for a photograph with Gloria Steinem, a feminist activist, organizer, writer and lecturer. Don’t for get to Participate …. and check out HeforShe – men raising their voices for change. 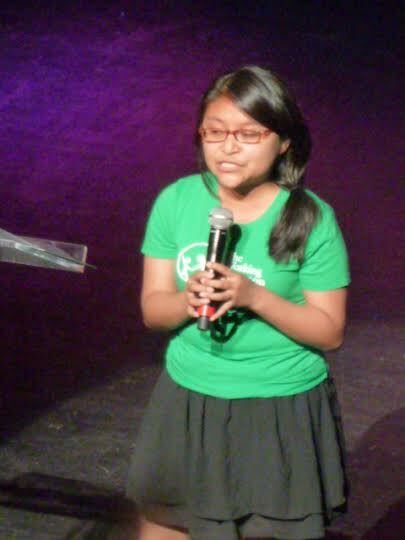 More pictures can be seen at Here Watch for Diana in the green T-shirt with Working Group on Girls logo.